The Crown Prince began the day in meetings ­– first with His Highness Tuimalealiifano Vaaletoa Sualauvi II and Samoa’s First Lady, then with Prime Minister Tuilaepa Lupesoliai Sailele Malielegaoi. The threat posed by climate change extends to security and economic policy issues. Samoa places top priority on highlighting the effects of climate change on island states in the Pacific as well as promoting efforts to minimise further temperature rises. 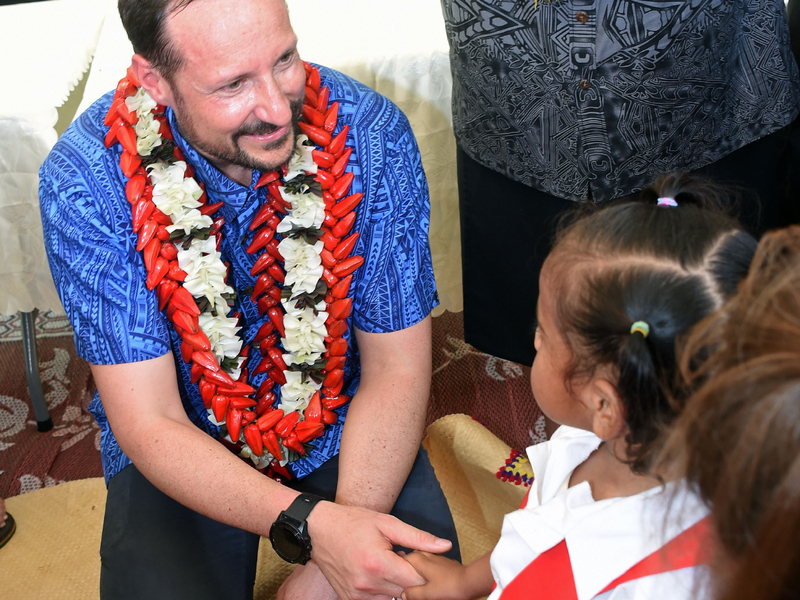 These are issues on which Norway and Samoa have cooperated closely in the United Nations, and today they were an important topic of discussion between Crown Prince Haakon and Samoan political leaders. 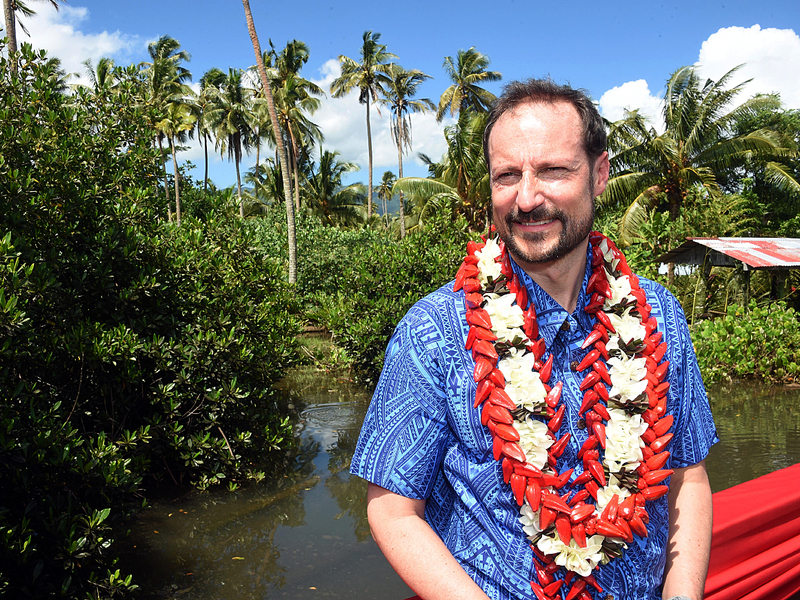 After the meetings, Crown Prince Haakon had the opportunity to look more closely at the impacts of climate change. Samoa and the other Pacific island states have been struck by increasingly frequent tropical storms, with flooding as one of the consequences. The Vaisigano River runs through Samoa’s capital, Apia, and has repeatedly overflowed its banks. 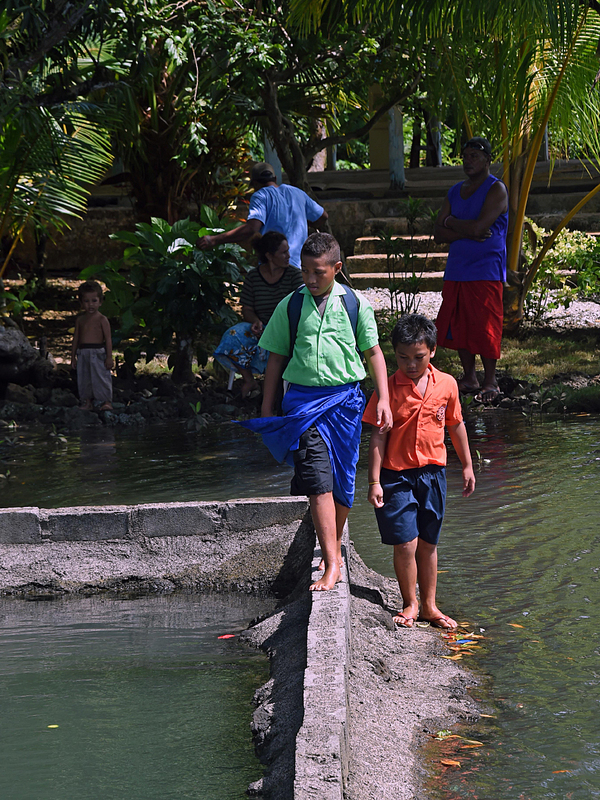 With the support of the Green Climate Fund and the UN Development Programme (UNDP), Samoan authorities have implemented several measures to make the area safer for the more than 26 000 people who live along the river. An important measure is the wall built along the river to keep it from overflowing its banks. 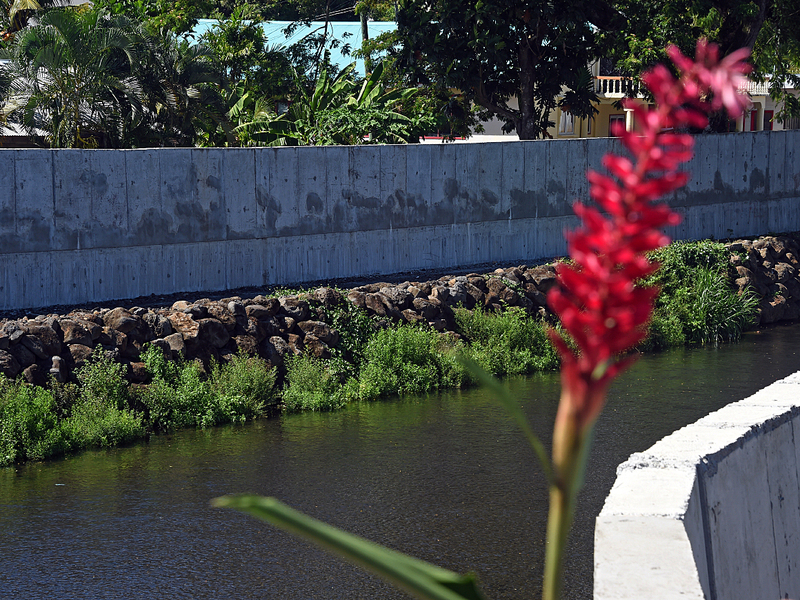 In the village of Moata’a, the tide has been reaching ever farther inland. Salt water now covers areas where, some years back, people could walk without getting their shoes wet. The route children used to take to school is now submerged. Here, too, the Green Climate Fund and UNDP have provided support. A bridge has been built over the wetlands, so once again the children can get to school while staying dry. The whole village turned out to greet the Crown Prince and his retinue today. The Crown Prince listened as the village council explained problems the village has been experiencing, and he spent time talking with the many children present. Large gender differences remain in the countries of the Pacific, a condition which UNDP and other bodies have identified as an obstacle to further development. Customs and traditions help to perpetuate the inequality. 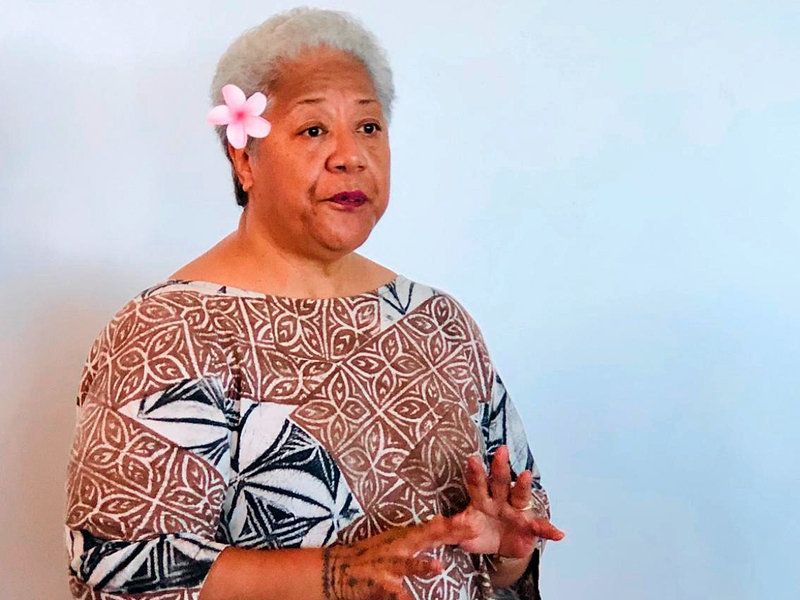 Targeted efforts are under way to increase the participation of women in Samoan politics and society, and there have been positive developments. Women now occupy 10 per cent of the seats in the Legislative Assembly, and 24 women ran for election in 2016 – an increase of 300 per cent over the previous election. The Women in Leadership in Samoa project is working to strengthen women’s participation and leadership with support from both UNDP and UN Women in addition to the Samoan authorities. Deputy Prime Minister Fiame Naomi Mataafa is the first woman to hold her position, and she has been active in gender equality issues. Samoa also has a woman central bank governor, making it unique among countries in the Pacific region. Fifteen women in leading positions took part in a working lunch with the Crown Prince and the Norwegian delegation. The lunch began with remarks by the Deputy Prime Minister. During lunch the Crown Prince learned about Samoa’s gender equality challenges and the work being done to achieve greater equality. 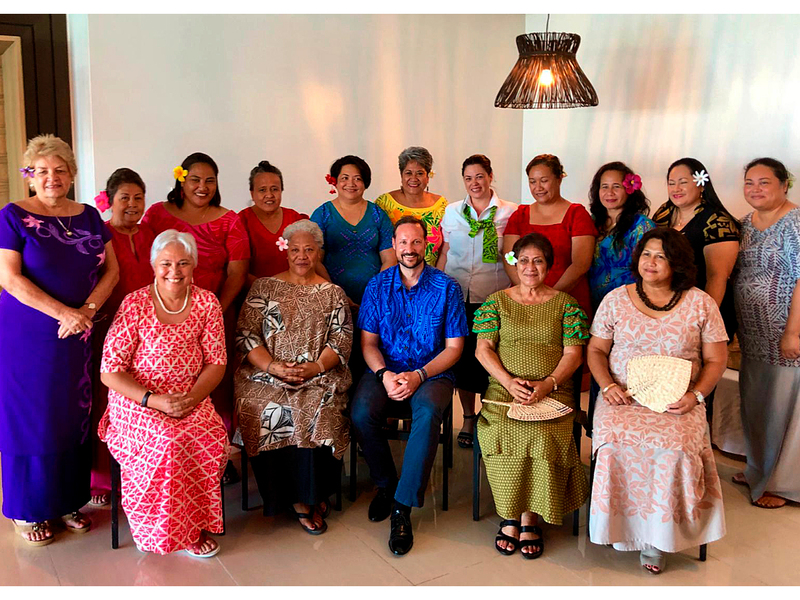 The working lunch with the Women’s Leadership Group concluded the visit to Samoa as well as the entire official journey to the South Pacific. 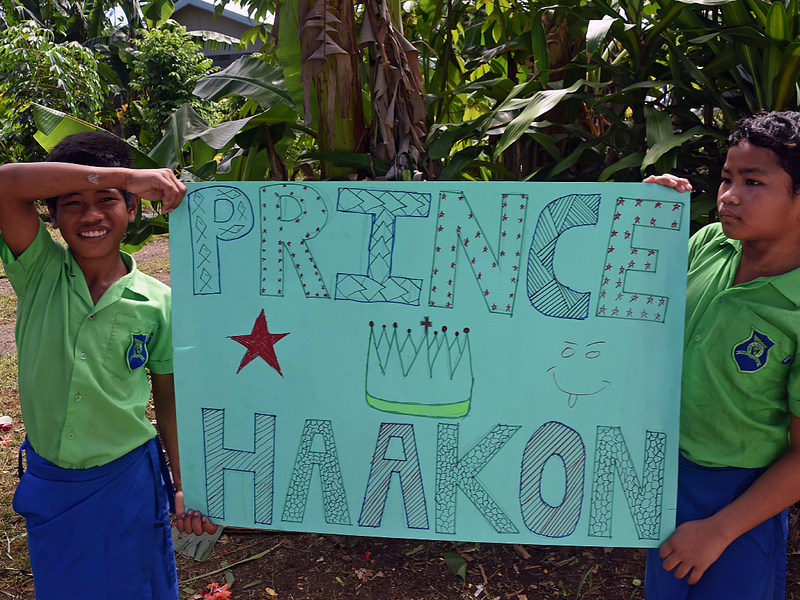 In recent days the Crown Prince has visited Tonga, Fiji and Samoa to see, listen and learn ­– especially to learn from their experience with the effects of climate change. The island states are important partners for Norway on issues relating to climate and the oceans. 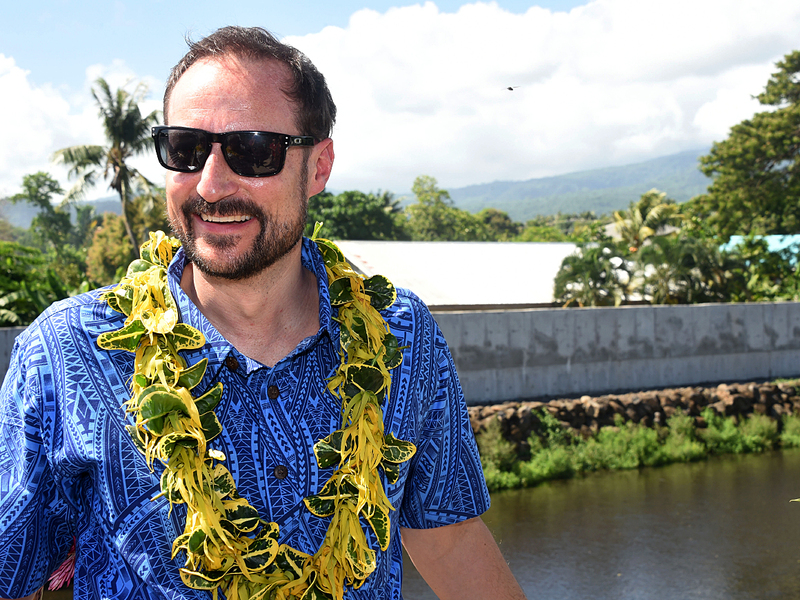 “A visit like this gives us better opportunities to stand together and make a difference,” Crown Prince Haakon said in summing up the trip. His Royal Highness The Crown Prince has arrived in Samoa – the last of the three countries included in this visit to the Pacific region.